Kris Kristofferson is a man besotted. Tonight, he is the oldest performer at an L.A. benefit concert for Nashville’s Country Music Hall of Fame, and since the 74-year-old legend is known for suffering neither fools nor fads gladly, you might expect him to be hanging back with relative contemporaries like Emmylou Harris and Vince Gill. Instead, his still-babyish-blue eyes are twinkling over a pop-crossover superstar who’s his junior by a half-century plus change. Backstage, as they exchange courtesies before the sold-out show, Taylor Swift plays an unlikely Bobby McGee to Kristofferson’s Me. “I just know you are going to have the most wonderful career, and most wonderful life,” Kristofferson is telling her. He praises the precocity of her songwriting. In return, she gushes over his mad skills. “I could not ask for a better role model,” she says. “Now who’s the silver-tongued devil?” Kristofferson quips. I ask if he thinks Swift has a shot at making the Country Music Hall of Fame someday. “She’s already in the Hall of Fame!” he bellows back, taking almost chivalrous offense; it’s as if being decades away from eligibility is, to his mind, a laughable formality. At least there’s something for Taylor Swift to aspire to! She doesn’t reach drinking age until December, but her list of accomplishments is already staggering. (Among them: youngest person to win Album of the Year at the Grammys; Entertainer of the Year at the Country Music Awards; top-selling recording artist of 2008 and 2009; most legally downloaded artist of all time; an SNL hosting gig that seems to be the most-rerun episode ever.) 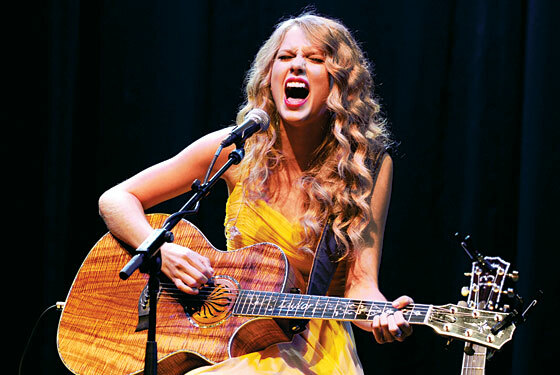 And she might just knock off another one this month with the release of her third album, Speak Now, on October 25. Number crunchers are already predicting that Swift could be the last pop star in history to move a million units in a week. More challenging, perhaps, will be convincing that unconvinced half of a polarized public that she’s a confessional singer-songwriter in the classic vein and not just a teen-pop blip. As the third volume of Swift’s soon-to-be-encyclopedic public diary, Speak Now may or may not be her Tapestry or Blue, but it is definitely not her Can’t Be Tamed. The title song, inspired by the impending nuptials of a friend, imagines a Graduate-like scenario in which Swift busts up an ex’s wedding. It’s “You Belong With Me” redux, but bumped from high-school bleachers to wedding-chapel pews. In titling the album, Swift says, “I just kept going back to ‘Speak Now,’ because I think it’s a metaphor for so many things we go through in life, that moment where it’s almost too late, and you’ve gotta either say what it is you are feeling or deal with the consequences forever.” Given that the singer’s whole image is based on her willingness to lyrically identify ignorant boys by their Christian names, has learning to speak her mind really been a problem before now? “I think I’ve developed, as many people do, this sense of ‘Don’t say the wrong thing, or else people will point at you and laugh,’ ” says Swift of her “emotionally intense” last two years. “In your personal life, that can lead to being guarded and not making what you feel clear in the moments that you’re feeling it. For me, it’s never really fearing saying what’s on my mind in my music, but sometimes having a problem with it in life. Sometimes you lose the moment.” And sometimes you get it back in time to spin that great afterthought into quintuple and sextuple platinum. Country music has always had uneasy relationships with its pop-crossover stars, and there’s a history of giants who’ve had dual citizenship—from John Denver and Olivia Newton-John to the Dixie Chicks and Shania Twain (whose Come On Over is Swift’s favorite country album)—only to find one foothold or the other inevitably slip away. Swift won the CMAs’ Entertainer of the Year last year, but wasn’t even nominated this year, which could count as a “We’re keeping an eye on you, MTV girl” warning shot from Nashville. But if anyone can come close to being all things to all industries, genres, and fan bases, it’s Swift, who’s been unusually careful to nurture her Music Row roots. It doesn’t hurt that she stayed in Tennessee after moving out of her parents’ house in Hendersonville and into her own condo in Nashville, custom-built to her specifications. (Its living room has a pond with thirteen fish, her lucky number.) And she continues to cheerfully make rounds that would have been beneath a Natalie Maines—like gladly showing up for Hall of Fame benefits long after most everyone stopped appending “country star” to her name. When Swift takes the stage with the other performers for the acoustic “guitar pull” format at the September 23 benefit, the next-most-fresh-faced singer on the bill is Vince Gill, who is a third of a century older than she is. “We were smart enough to invite the kid,” Gill tells the sold-out hall, immediately addressing the disparity. “We dig her because she sold all the tickets.” Over the next two hours, Swift more than holds her own, singing well-crafted hits with confidence (and without the help of Auto-Tune, which she has been accused of using) in a format that emphasizes her deceptively simple lyrical acuity. So there was this guy. “I think a lot of people expected me to write a song about him. But for me it was important to write a song to him,” says Swift about Kanye West, who infamously stole her Best Female Video moment at MTV’s VMAs in 2009 (which in turn inspired the president of the United States to call West a “jackass”). “Innocent”—the song prompted by The Interruption, which she debuted at this year’s VMAs—is a tricky piece of songcraft: Some viewers took it as deeply sympathetic toward West, others as patronizing in its sympathy. But “Innocent” clearly provides a turning point in which Swift gets the upper hand by casting herself in a mature, even maternal light. The music video for the new album’s first single, “Mine,” may portray her growing up and having children, but “Innocent” is where she really plays mother to a baby. 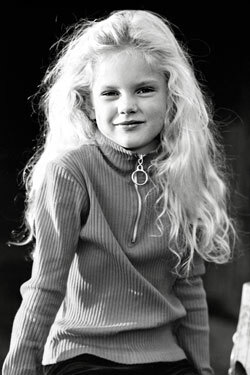 Kristofferson and Twain notwithstanding, there are no real models for Swift’s career path in the end. A handful of other singer-songwriters have made great records before exiting their teens, from Laura Nyro to Fiona Apple, but none made great records so explicitly about their teens. In captivatingly nailing everything that is awesome and awful about coming of age—“in real time,” as she puts it—her nearest antecedent might be sixties-era Brian Wilson, the one true adolescent auteur before she came along. But he stayed in the sandbox, and she can’t.